In the past I have written extensively about the importance of tax planning. 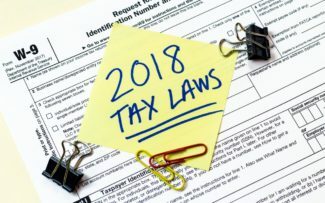 With the passage of the new tax laws, which reduced the tax burden for most, one might feel tax planning may be less important. Well, nothing could be farther from the truth. On top of that, the impact may not be what you think! We are well into summer, and I have plenty of 2018 tax projections under my belt. I have noticed an unusual trend taking shape for a hand full of my clients. These are clients who have routinely received refunds in the past. With nothing changing on their end, they are projecting to owe next Spring. The interesting thing about this scenario is their overall tax liability has decreased from the last tax year. But, they are still projecting to owe Uncle Sam at tax time. What Gives? With the new tax law comes new withholding tables. These withholding tables are what your employer uses to determine how much federal tax to withhold from your paycheck based on your withholding exemptions. The tables are withholding less federal taxes this year, which would make sense due to the reduction in most everyone’s taxes. But, the problem is it seems they are under-withholding for clients who are higher income earners. A recent meeting with a client revealed their total tax liability for 2017 was $71k, while their projected tax liability for 2018 is $61k. That’s a $10k savings, which is a very nice tax break. But, this particular client went from a refund of $4k for tax year 2017 to projecting to owe $4k for 2018. The client has not changed their w-4 withholdings or had any additional income changes. Remember, once your taxes are efficient (utilizing all available tax deductions and tax breaks) , it’s a matter of pay the IRS now( withhold in your paycheck) or pay the IRS later (pay at tax time). It’s your money and how much you withhold is up to you, as long as you understand this concept from the big picture perspective. But, unfortunately, many only measure their success and efficiency when it comes to taxes by their refund/balance due for the year. For my clients, we will stay on top of their tax projections and make adjustments as needed. For those of you “do-it-your-selfers,” it’s really important to run tax projections for 2018. Planning is about striving for efficiency, and, if all the extra cash you take home this year(because of reduced withholdings) ends up spent on beer and pizza, you may be in for a surprise at tax time…and not the surprise you may desire. Knowledge is power, and 2018 is certainly a year to take this to heart. My message remains clear: tax planning is important! Review your tax projection for 2018 so you won’t get hit with a curveball at tax time. 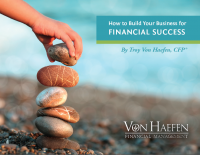 This entry was posted in Financial Planning and tagged Fee-only Financial Planning, Fiduciary, Holistic Financial Planning, Saving Taxes, tax planning. Bookmark the permalink.